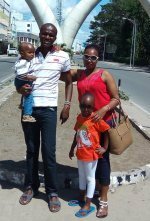 Mombasa is an incredible city, filled with charm and colour and with so much to do. There are a lot of options too when it comes to hotels so how do you decide? 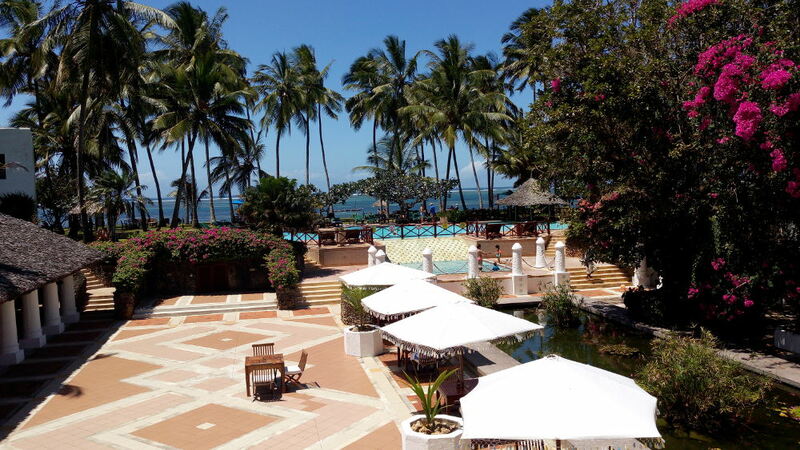 Well, with the coastline being so beautiful and with some of the best beaches in the world lying north and south of the city it goes without saying that you really want to be right on the beach and the hotel with the best beach location in Mombasa is the Mombasa Serena Beach Hotel. You walk out of your room to be enveloped in the heady scent of tropical flowers and ocean breezes. Your eyes too delight in the surroundings, all around you is brilliant tropical colour and in front of you lies a beach as white as they come and an ocean as deep a blue as you'll ever see. Being part of the wider Serena group, Mombasa Serena Beach Hotel is uniquely designed to capture indigenous Swahili culture that has thrived here for hundreds of years. On arrival there is none of that universal city themed decor; instead you step back in time where native design is surrounded by bougainvillea filled gardens shaded by palm trees - a beautiful paradise. I personally love this hotel - it’s so calm, so serene and the views are beautiful. Throughout, the hotel is furnished with Swahili design and décor; finished with polished woods and brass interiors. The entire hotel reflects Swahili culture from furnishing on walls, floors, chairs, rooms, ancient made brass utensils and artifacts hanged and placed at various point around the hotel as well as in the naming of rooms and paths. As you enter the hotel, there is so much history, so much to learn about the Swahili culture... just by looking around. Staff too have perfectly emulated the Swahili hospitality trait – they are polite and courteous offering warm greetings whenever you meet them making you feel so welcomed. Ooh and something to note. If you came to relax and have fun for a day, the hotel allows visitors to use and enjoy their facilities except the pool. They don’t allow outsiders to use the pool but that’s okay too because they have a beautiful ocean to swim in. You'll certainly not go hungry here; with a choice of three restaurants tempting you with heady aromas from across the world. You can choose either to dine indoors or outdoors, by the beach, under a canopy of palm trees; chill and relax while enjoying cool ocean breezes. Set next to the pond and adjacent to the swimming pool, Sokoni Restaurant serves lunch and snacks during the day and mostly closes by 6 in the evening. If you love pizza like me, you will have to try one of their various pizza options freshly made before your eyes. Ooh and have a look at their wood dry pizza oven – I find it unique. Jahazi Grill Restaurant offers a wide variety of seafood and other menu options to choose from. Their main courses include Jahazi Grilled Lobster, Skewered Jumbo Prawns, Lobster Marrakech and Lobster Creole. If you happen to be at Jahazi, you have to try Skewered Jumbo Prawns... absolutely delicious. Personally I think I should have included this restaurant among the best places to eat in Mombasa. Fountain Restaurant is the main restaurant and serves a good buffet breakfast and dinner is either table service or buffet. At breakfast, if you would like champagne, it’s always available. Frequently they do themed cuisines but my favorite is Friday night's where they do Swahili themed cuisine and staff dress in African attire … however they are not limited to the theme if you would like something different, it can always be provided. Nyota bar is like a launch with lots of sitting areas, they have a pool table and a chase board to keep you entertained. Or you can chill and just watch football … with beach and hotel views. Taste the ‘chemistry’ of ‘kahawa chungu’, a bitter Swahili coffee beverage cooked and served in the same way it was done hundreds of years ago. It's prepared at the reception area while the parrots there mimic everyone. It’s used as an aphrodisiac and is the traditional visitors welcoming drink offered by the Swahilis. You'd think with a location like this the hotel would cost a fortune? Well, there is good news - when you take into account the location and the level of service this hotel is one of the most pocket friendly hotels within Mombasa and can easily fit within most budgets. You would be hard pressed to find this sort of value in a similar setting anywhere else on earth. Mombasa Serena Beach Hotel is an Eco-friendly resort. It has turtle hatch nests and turtles return to the beaches in front of the hotel year after year to lay their eggs. There is also a butterfly farm that helps to breed and conserve beautiful local and endangered species. And guess what… if you are on honeymoon you can ask them to let you have some tropical butterflies to release into the air to mark your celebration. Nearly forgot one of the best things about the hotel... the magnificent spa and fitness studio. You've a well equipped gym and a spa that is considered one of the best in all of Africa, where the staff will gladly work out a treatment program for you that you can continue to follow on your return home. In fact, I've heard it said, that many guests actually return here because of the spa and they swear by the treatment options which are sourced from local ingredients gathered from the seas, beaches and indigenous forests. The is one huge problem with this hotel though. You end up feeling so relaxed that you never want to leave.